There’s a certain irony, I find, when recommending beers to the pedestrian beer drinker. Instead of pointing them towards the world-renown brews I find myself recommending something of slightly lesser quality. Why? Because the truly great beers are more often than not an acquired taste. This is especially true of stouts since so many people are turned off by the style alone. A good example of this is Goose Island Oatmeal Stout, which is a great beer in its own right, but not quite the best of the best. It doesn’t have quite the intense flavor I’d prefer, although I think this is what makes it a bit more drinker-friendly than the higher-rated brews of the style. I have a very minor beef with stouts, and it’s the fact that for the most part, beers of the style look almost identical. This beer certainly isn’t an exception as it’s an extremely dark shade of ruby red, but appears to be black otherwise. It forms a rather small light brown, foamy head which dissipates a little quicker than most stouts, although it does leave plenty of lacing on the glass. The aroma is also typical of stout with a slightly dry nose with hints of roasted malts and dark chocolate as well as coffee. It’s a little mild overall, but it is indeed inviting. You can tell the difference between an average stout and one of higher quality in the initial mouthfeel. Lesser beers tend to be watery and bland upfront, but something better like Goose Island Oatmeal Stout has genuine flavor as soon it hits the palate. The first taste is of roasted malts and a bit of a dry almond flavor as well. On the finish I get a very rich taste of dark chocolate and coffee. It all adds up to be a palate that is both sweet from the malt character and slightly bitter from the hops. The only caveat is the flavor isn’t as strong as I’d prefer. In fact, it’s almost identical to St. Ambroise and Samuel Smith’s oatmeal stouts, but without the intensity. Not that it’s mild to the point of being average, far from it, but it would be a great introductory beer to the oatmeal stout niche for less-experienced and more mainstream drinkers. The good thing about milder beers is they’re easier to drink. Goose Island Oatmeal Stout is plenty flavorful, to be sure, but its drinkability is what sold me on its quality. With a complex, fairly rich flavor but a soft, velvety mouthfeel and a finish like water, this beer is so smooth it’s a challenge to savor it with smaller sips. 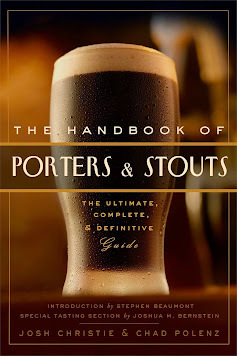 What’s funny about stouts is they tend to come in either very light or very heavy bodies with almost no middle ground. I’d probably consider Goose Island Oatmeal Stout closer to the lower end of the spectrum since it clocks in at only 5.1% ABV. I drank a bottle of this on a near empty stomach and wasn’t so much as buzzed, nor was I filled up. This would work absolutely perfect as a session beer or an after-dinner treat since it has the taste without the girth. I was asked to review this beer to settle a disagreement between two friends of mine. One claimed this was as good or superior to Samuel Smith’s Oatmeal Stout. And while I’d say I liked that beer a little better I would still consider Goose Island Oatmeal Stout a very worthy opponent since it’s a well-crafted, tasty, satisfying beer. And isn’t that what really matters?